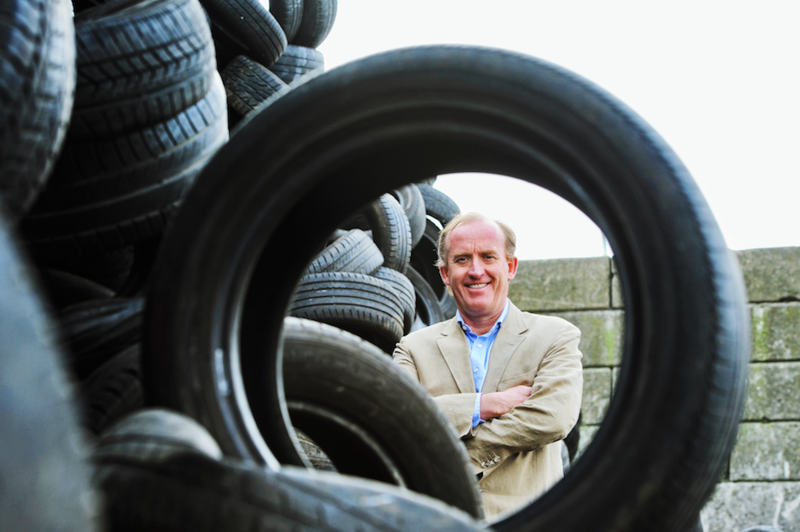 What to do with the 1 billion end-of-life car tyres that are disposed each year? Most old tyres are just burnt, but Black Bear Carbon has developed a circular solution. Our strategy is to upcycle carbon black out of old tyres, whereby we reduce the amount of waste and provide a new value chain for tyres. Not just in The Netherlands, but across the globe. For Black Bear Carbon, end-of-life tyres are no waste, but a highly valuable material. We are the first in the world to have developed a technique to win high quality carbon black out of old tyres. Carbon black is the essential element of many products, such as the handles of bicycles, the packages of mascara, and the wristband of watches. Basically all products that are black or grey, contain carbon black. In the factory, they collect old tyres, and, after removing the steel parts, the tyre is grinded to small particles and the carbon black is extracted. Black Bear Carbon is able to extract some 40 percent of carbon black out of the tyres, and the remaining 60 percent is converted into oil and gas. Currently Black Bear Carbon is active in The Netherlands. However, with the availability of some 1 billion tyres that are disposed each year, they can build up to 800 facilities. That means it is time to upscale our business and go international! By opening facilities in other countries and collecting tyres for carbon black,Black Bear Carbon can decrease the amount of tyres that are landfilled or goes directly into the furnaces, while limiting the amount of crude oil necessary to produce new carbon black. The impact is enormous: for every kilo of carbon black we produce, we save 5 kilos of CO2. With an average processing rate of some 1.5 million tyres per year, every installation reduces as much CO2 as 1 million trees. Black Bear Carbon provides the solution for tyre manufacturers that struggle with the amounts of waste from old tyres. We happily help companies to develop a new circular business strategy for old tyres. This has multiple positive effects: developing new value chains, decreasing waste and limiting the amount of oil used for carbon black production. Thus, if you are looking for a solution to give end-of-life tyres a new, circular purpose, please get in touch!